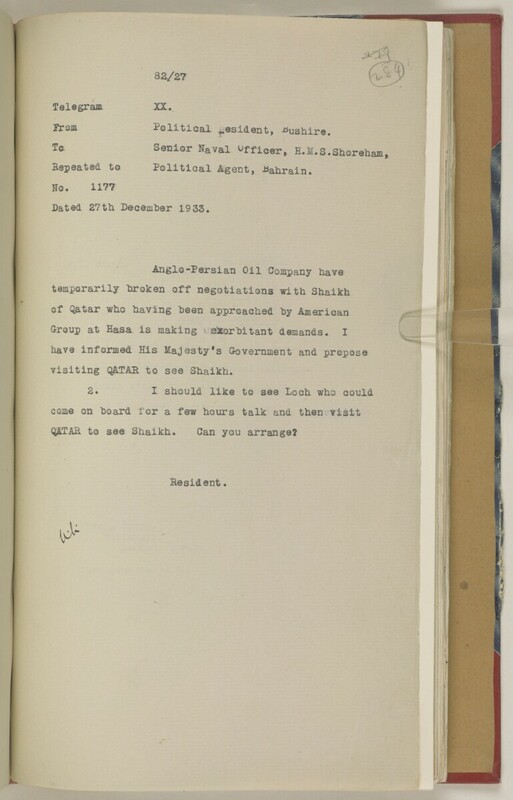 Dated 27th DecemlDer 19 33.
visiting Q&TAR to see Shaikh. QATAR to see Shaikh. Can you arrange?